Lance Bass – who currently hosts the first all-gay dating show on television and comprises one fifth of former uber boy band, *NSYNC – opens up about how things have changed for the better since he came out, the spheres in which he still encounters homophobia, and why he finds Donald Trump “very disappointing.” Plus, the Mississippian on wanting to make a country album – and why he doesn’t ever think he will. Former NSYNC singer and teen heartthrob Lance Bass discusses his new role as the host of the reality dating series Finding Prince Charming. He speaks to the new ground this show is breaking as the first all-gay reality dating competition, and the new layers of storytelling the show brings to an old format. He also addresses how the show merges his personal love of reality television with his history as an LGBTQ activist. 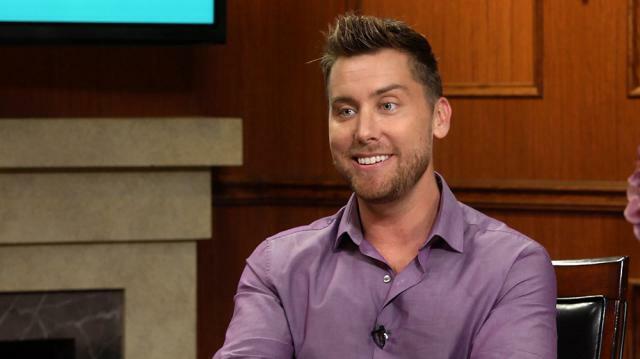 Lance Bass then relives some of the greatest moments from his tenure with one of the largest boy bands on earth. He discusses the relationship that the NSYNC members maintain to this day, as well as having a front row seat to the rise of Justin Timberlake’s career. He also speaks to his own career aspirations, and where he sees himself ten years in the future. Pop singer and television host Lance Bass also illuminates the time he spent training as a cosmonaut, and the role that space travel has played in his life. He and Larry theorize about the future of space travel, while Lance Bass also admits that some of those dreams may be behind him, as he now wants to focus on his husband and starting a family.